Three people were killed and at least 10 were injured in a blast at a religious gathering on the outskirts of Amritsar, the police said. The blast reportedly took place when members of the Nirankari sect were gathered at Nirankari Bhawan at Rajasansi village near the Amritsar international airport. According to News18, the police is investigating several angles behind the attack as no terrorist organisation has taken responsibility for it yet. Eyewitnesses claimed that two or three bike-borne men hurled bombs — grenades, according to some reports — at the gathering and fled. Hours after the blast, the Punjab Police arrested two suspects from Bathinda and also live cartridges from them, reports said. Officials in the Ministry of Home Affairs said that two "turbaned youths" had thrown the grenade at the gathering, and that security agencies already had "enough leads" in the investigations. Punjab Director General of Police Suresh Arora said the incident "appears to have a terror angle" because it was carried out against a group of people and not against an individual. "There is no reason to throw a hand grenade at a group of people, so we will investigate it as a terrorist act. Till proven otherwise, prima facie we will take it as that," he said, according to PTI. As the Punjab Police said they could not rule out a terror angle in the blast, a three-member team of the National Investigation Agency (NIA) is expected to reach the site of the site in Amritsar later on Sunday, ANI reported. Inspector General (Border) of Amritsar Surinder Pal Singh Parmar said there were around 250 devotees at the congregation when the attack took place, and that there were no CCTV cameras at the location. An investigation is on to identify the perpetrators, he added. The blast took place despite Punjab being on high alert after the counter-intelligence wing of the state police force had warned them that six to seven Jaish-e-Mohammad (JeM) terrorists were "planning to move towards Delhi" from the state. The police were asked to set up checkpoints at all important routes, conduct strict vehicle inspection and take suitable countermeasures for all sensitive locations. Police areas along the India-Pakistan border were also asked to coordinate with the Border Security Force. Officers were also advised to plan and implement precautionary measures to thwart any untoward incident. 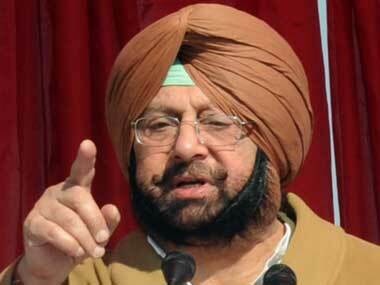 Chief Minister Amarinder Singh condemned the blast at Nirankari Bhawan in Amritsar. He reviewed the law and order situation in Punjab and has ordered the state home secretary, Director General of Police, Director General (Law and Order) and Director General (Intelligence) to head to Rajasansi and oversee the investigation, an official spokesman said. According to reports, the chief minister reviewed the security situation in the state in a high level meeting with officials, and has asked the state home secretary along with Punjab DGP, DGP (Intelligence) and DGP (Law and Order) to rush to the site to investigate. The chief minister also offered his condolences, while announcing Rs 5 lakh ex-gratia to the kin of the dead and free treatment for the injured. My heart goes out to victims of the Amritsar bomb blast & their families. My govt will give Rs 5 lakh to kin of each of the dead and free treatement to injured. Have asked district administration to extend all help. 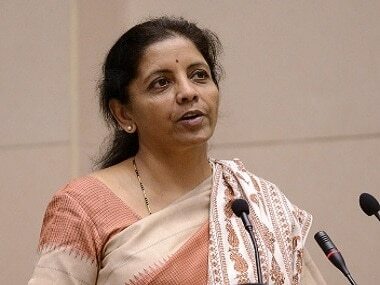 Later in the day, the chief minister said they could not rule out the "possible involvement of ISI-based Khalistani or Kashmiri terror groups". "Police teams have been rushed to raid the suspected hideouts of the assailants, and multiple teams are investigating various angles to crack the case," he added. After the blast in Rajasansi village, Punjab Congress chief Sunil Jakhar offered his condolences, saying: "My condolences are with families of those who lost lives in this incident. It is an attempt to disturb peace in Punjab. I believe all security agencies should stay alert and coordinate with each other to maintain peace." Union Home Affairs Minister Rajnath Singh, too, said he was "deeply anguished by the death of innocent people" in Amritsar, and that "strongest possible action will be taken against the perpetrators of this crime". While initial reports speculated about the possible involvement of terrorist Zakir Musa in the Amritsar attack, Parmar denied the supposed links to Musa, who was spotted in Punjab four days ago. Musa is the chief of the Jammu and Kashmir-based Ansar Ghazwat-ul-Hind (AGH), a terror outfit linked to the Al-Qaeda, which allegedly maintains close ties with the JeM. 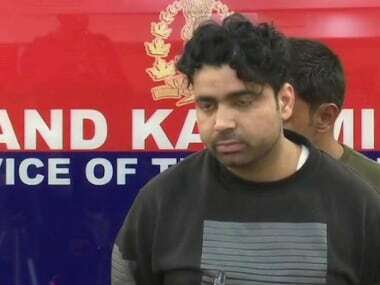 In October, in a joint operation, the Punjab Police and the Special Operations Group of Jammu and Kashmir Police had arrested three students and busted a module of the AGH in Jalandhar. The students were nabbed from the hostel of CT Institute of Engineering Management and Technology, located in Shahpur on the outskirts of Jalandhar, Director General of Police Suresh Arora had said. The joint team that raided the hostel also seized two weapons, including an assault rifle and explosives, from the room of one Zahid Gulzar, a BTech (Civil) student from Rajpora in Srinagar district. Zahid was arrested along with Mohammed Idriss Shah, alias Nadeem, and Yusuf Rafiq Bhatt, both residents Jammu and Kashmir's Pulwama.